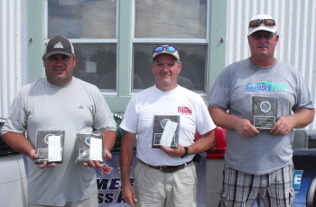 Blake Forrest take first win on Delaware, Scott McDonough ties Randy Iorio for COY lead. 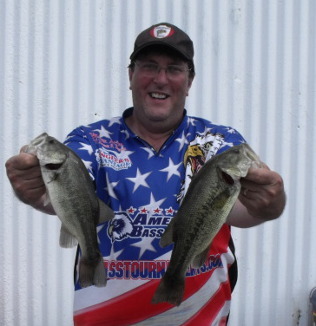 From Pennsylvania Division 9, August 5, 2012 - Blake Forrest takes the win at Division 9 AFT tournament on the Delaware River. 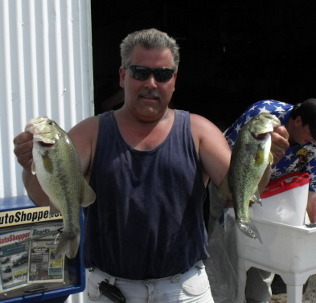 Running out of Lightning Jacks Marina in Riverside NJ, the Newportville PA, angler caught 5 bass weighing 9.14 pounds. 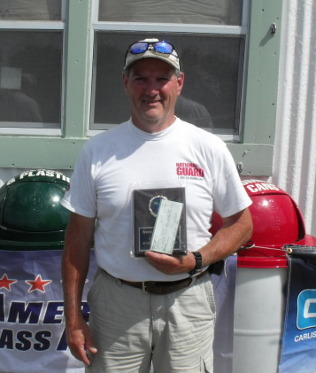 For the victory, Blake took home a check for $323. 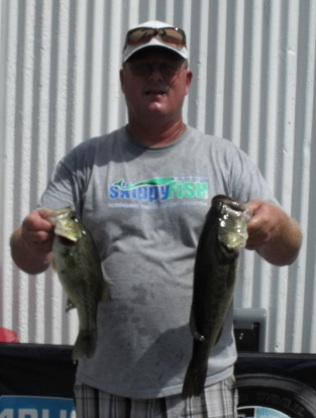 Blake said they were hitting the shaky head all day. 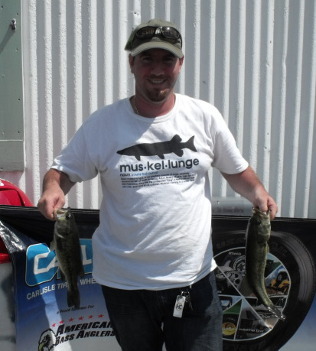 In second among these AFT competitors, Matt Padden of Glenolden PA, caught 4 bass weighing 8.00 pounds. 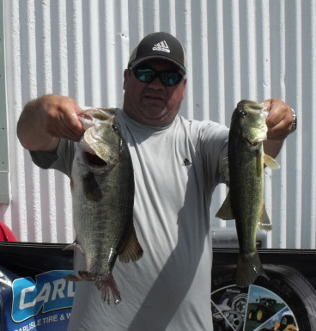 Matt also won the big bass contest with a 4.17 pound large mouth. 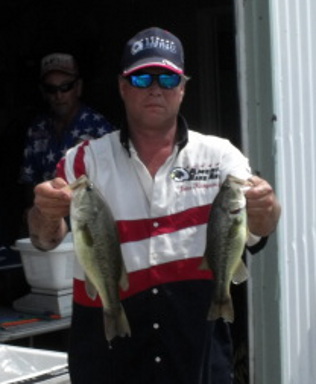 He pocketed a check for $130 for second and $55 for lunker. 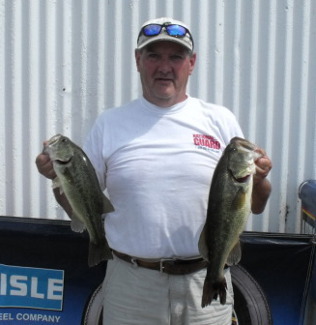 Taking third place, Scott McDonough of Richboro PA, caught 4 bass weighing 6.74 pounds. 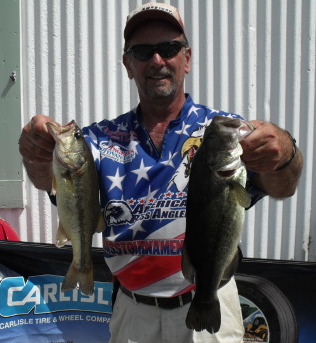 In fourth place, Dale Gorrell of Quakertown PA, caught 4 bass weighing 6.43 pounds. 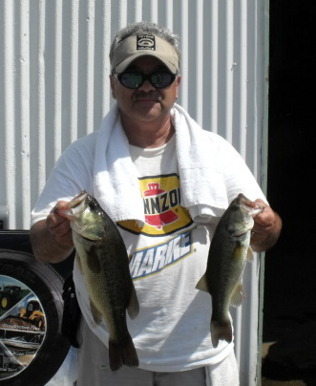 Den Budzitowski of Delran NJ, rounded out the top five competitors with 5 bass weighing 6.35 pounds. 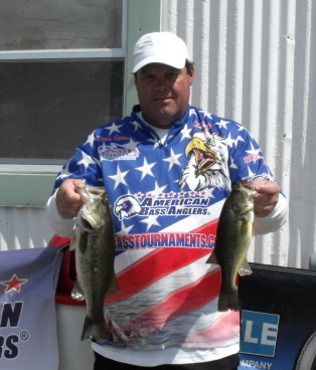 The Wayne Alker maintains his one point lead but Rick DiIenno and Jeff Warner will be gunning for him at the two day. 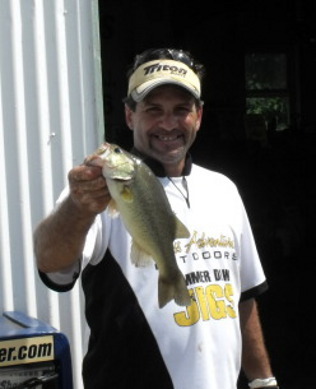 Scott McDonough ties Randy Iorio for COY lead, Mike Hasio is just one point behind. Should be an exciting two day.